The National Association of Realtors’ most recent Existing Home Sales Report revealed that home sales were up rather dramatically over last year in five of the six price ranges they measure. Only those homes priced under $100,000 showed a decline (-10.1%). The decline in this price range points to the lower inventory of distressed properties available for sale and speaks to the strength of the market. 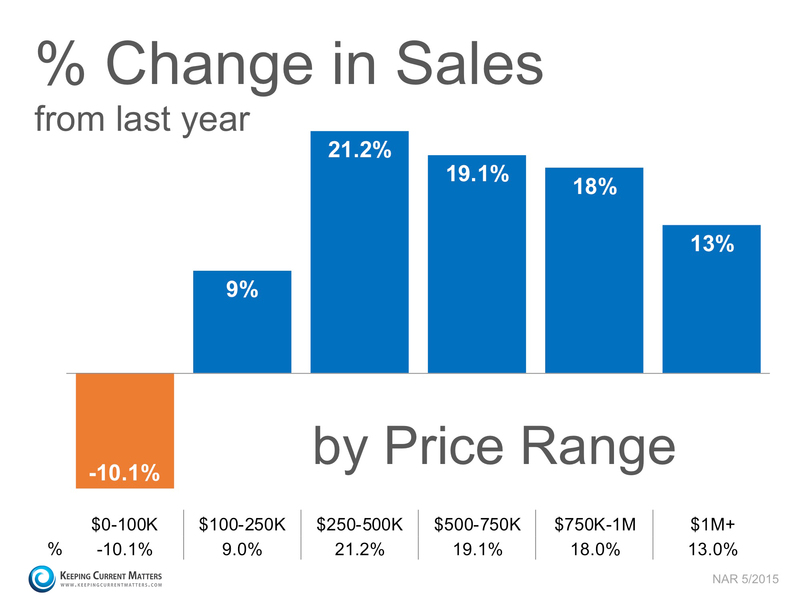 Every other category showed a minimum increase of at least 9%, with sales in the $250,000- $500,000 range up 21.2%! Real estate is constantly changing and for me…that is a good thing. I like change and while sometimes it can seem daunting and scary, it also forces me to re-focus my energies into what is important and what will make me AND my clients happy. The old days are gone and a new day is here. Not everyone is going to make it in this new world order. Why? Because they are unwilling to change. One of the biggest changes I see is the return to smaller homes. I remember when everyone thought bigger was better and tried to keep up with their neighbors. If these economically challenging times have taught us anything – it’s to tighten your belt and live within our means. No more super-sized anything. It’s time to live large in smaller spaces. 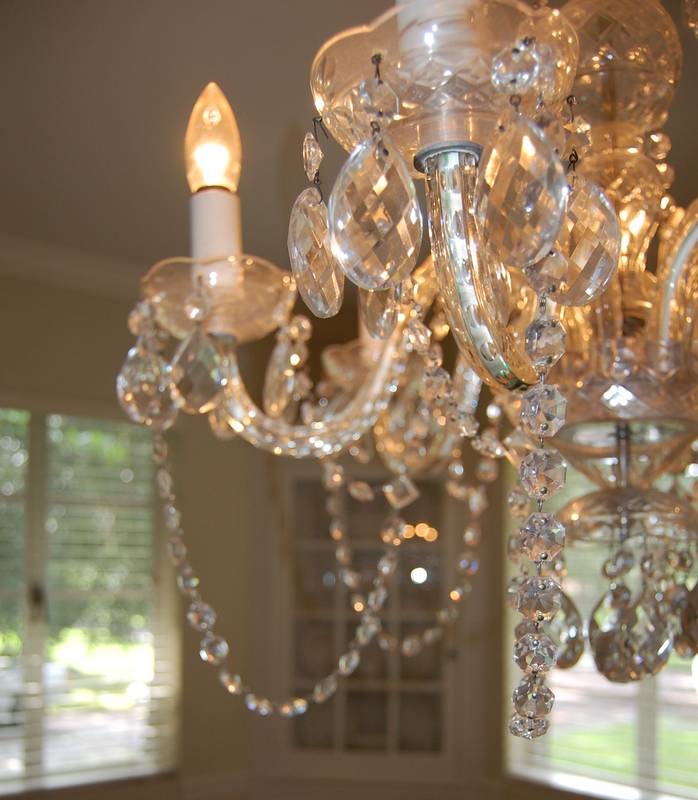 When I say that glamour comes in all sizes – I am seeing it on a daily basis when showing homes. Small homes are VERY popular and as baby-boomer enter new phases in their lives and careers, they will look to downsized. The smaller home will be the desired size for many. 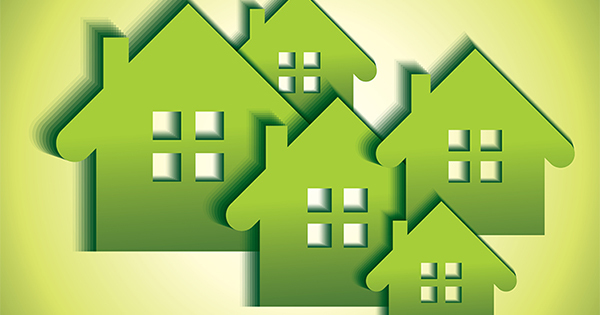 Even Gen X, Y and whatever would agree that to be “green” today means to keep our homes at a manageable size. Families live within their means and within a more “defined” living space. It’s cool to be cozy. I’m looking forward to our future – I think we are getting smarter and we are coming to terms with what is important in life. Size doesn’t matter – but charm, character, personality and a home with glamour will never go out of style. Live large but in a smaller space! Be willing to change. Looking at REAL ESTATE and life with rose colored glasses and no excuses! For the record, I know the real estate market has a LONG way to go to make a significant improvement but I also know that things are getting ROSIER and BRIGHTER. I have seen more improvement in real estate since January 2010 than I saw in the last six months of 2009. There are more buyers, more realistic sellers and MORE DEALS closing. We have a long way to go. Most importantly, banks need to facilitate closings – LOAN MONEY TO CREDIT WORTHY BORROWERS. Sellers need to keep pricing their homes with the realization that runaway pricing is long gone but they will reap a tax benefit and a personal benefit in buying another home at today’s prices. In short, you may lose on your current house but you will more than make up for it on your next home. It will be a bargain. Foreclosures are bottoming although they do account for almost a 1/4 of the market at this time. That’s the scariest unknown for real estate agents – just how bad is it going to be when the banks finally admit how many homeowners are behind on their payments. But any way you look at this – we are going to improve. Life will get better and I expect 2010 to be the year the market changes and improves. Looking at life through rose colored glasses? Not really – just years of experience through the cycles of real estate tell me we are turning a corner.